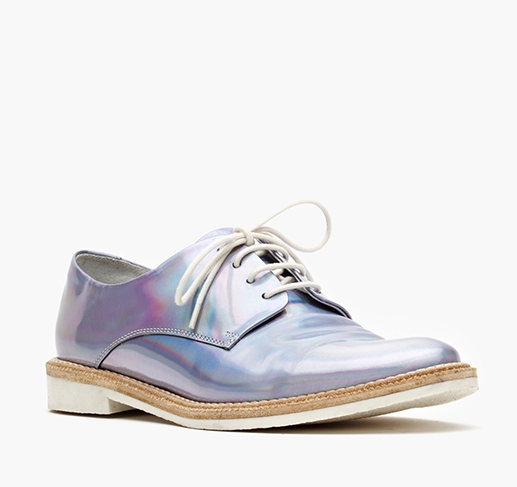 Soo despite the holographic aspects of these Oxfords, the style of shoe isn't generally me, but I have to say I have fallen head over heels for this pair of shoes (not so much the $180 price tag). I think they'd look so cute in summer with shorts, skirts and dresses and the colours are just so pretty! 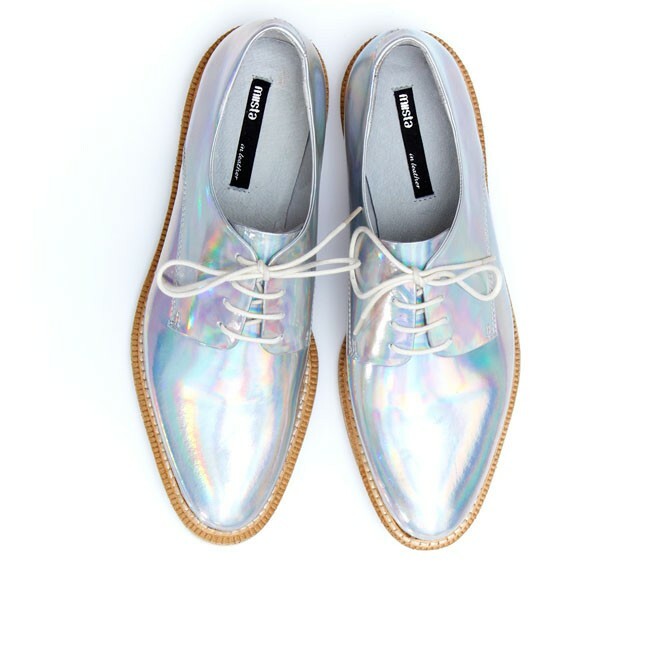 They probably don't warrant me buying them as I think they're the kind of shoes I'd just gawp at for hours on end and yet only wear once or twice..I'm going through such a shoe phase at the moment though so prepare yourselves for a similar post in a few days time! What do you think of holographic oxfords? I'd love to be able to pull of these, they are amazing! if you were an animal you would be a unicorn! your blog is so pretty! !